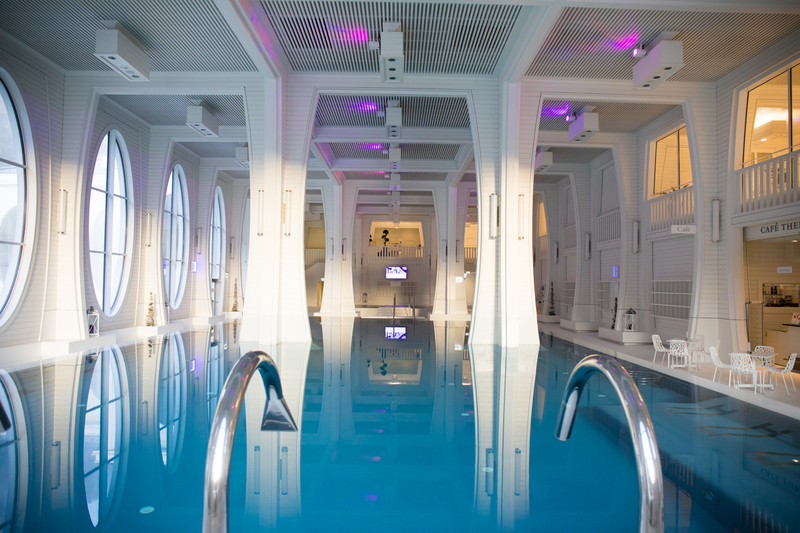 …and enjoy a day full of fun, joy and relaxation. Yes, I know. Lately, I’ve been posting a lot of pictures of me in a beautiful spa or in the water. But yes, I think right now it’s the best time to do so. 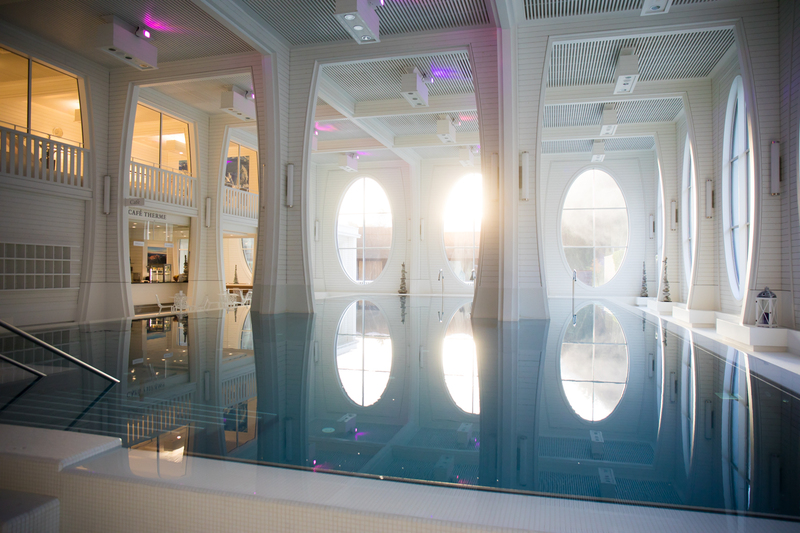 Because when the days are getting shorter and colder, a quick getaway to a beautiful spa or bath is so good to escape the grey weather for a while. Don’t you agree? It’s good to just disconnect for a while and plunge into a different world to forget the daily life around you. Just to enjoy floating weightless in the water. 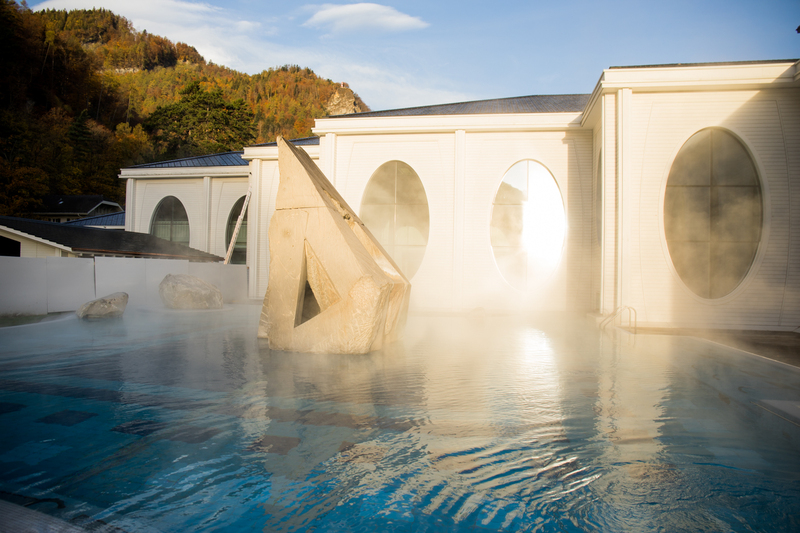 And it’s even better if it’s healing water like in the thermal bath Tamina Therme. After taking a bath in the thermal water the skin feels so soft and smooth. Moreover, it supports your recovery, relaxes the muscles, strengthens the immune system and promotes blood circulation. So it’s overall good for your health, no matter if you.re already suffering from something or just to prevent to get any disease. 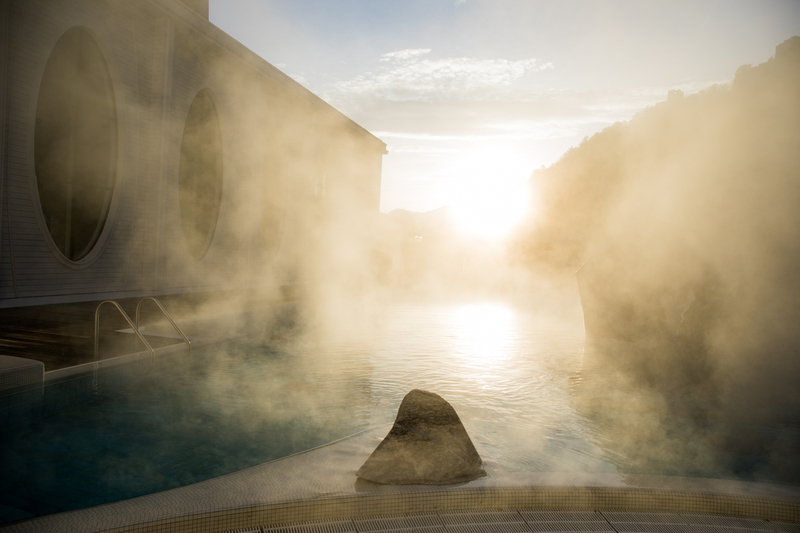 And don’t think that a thermal bath is only something for the elderly people and people with rheumatism. Sure, if you’re suffering from it, it helps a lot to improve your health. But also in any other case taking a bath in the body warm spring water is so good and relaxing. And fun, too! 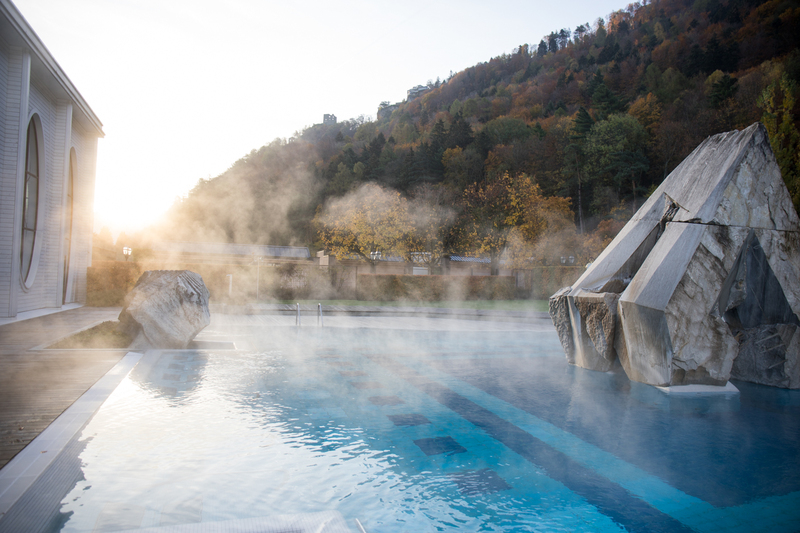 At the Tamina Therme you have so many different pools from cold to hot, various whirlpools, massage nozzles, water stream, sauna and steam room. And of course some areas to relax and even a café in case you get hungry. I have to admit, it’s probably one of the most beautiful thermal bath I’ve ever been. Not only because of its healing water and wide range of bathing options but also because of its beautiful architecture. It got totally renovated almost 10 years ago but kept its charm. And the amazingly big outdoor pool with an amazing view is not bad either.